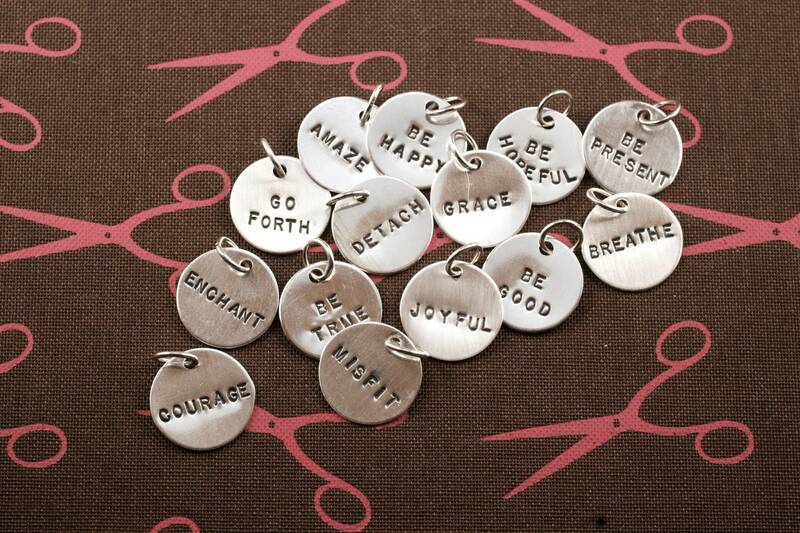 These sterling silver disc charms can be customized to say pretty much anything you'd like. 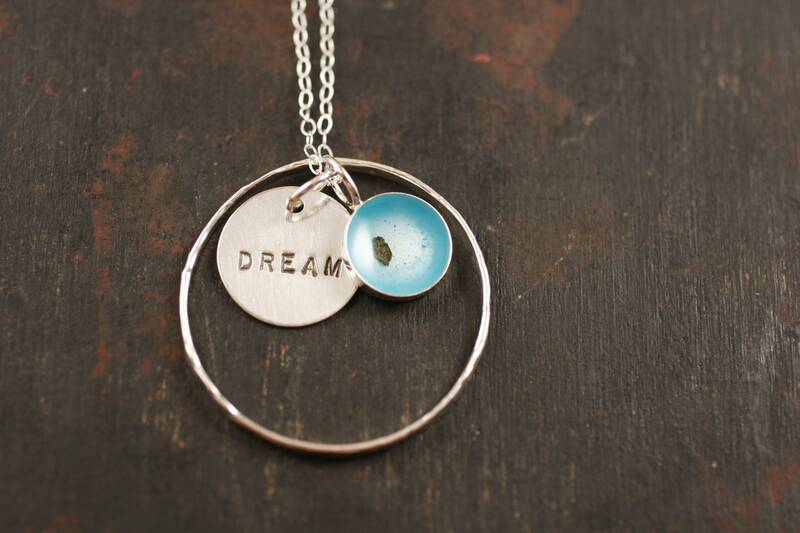 A name, a date, an initial, a word (usually I can make two words fit)...use your imagination! 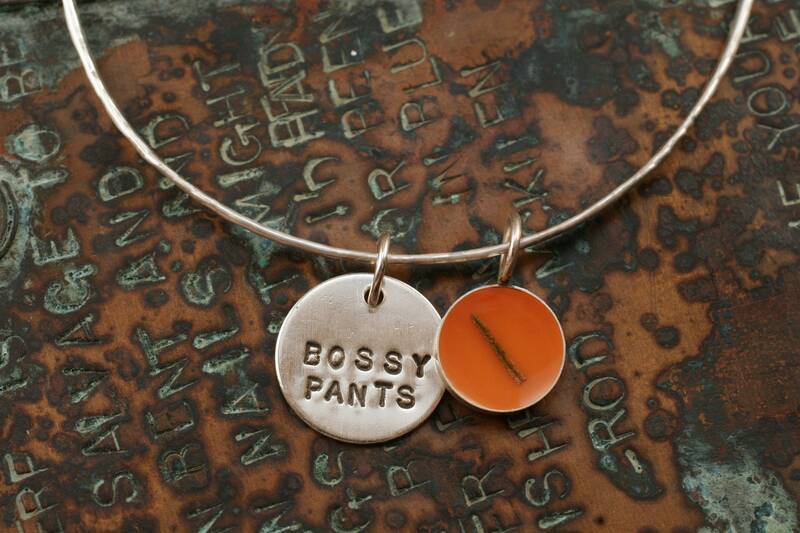 Looking at my bangle charm bracelet or bangle necklace but want to add more charms? Here you go! 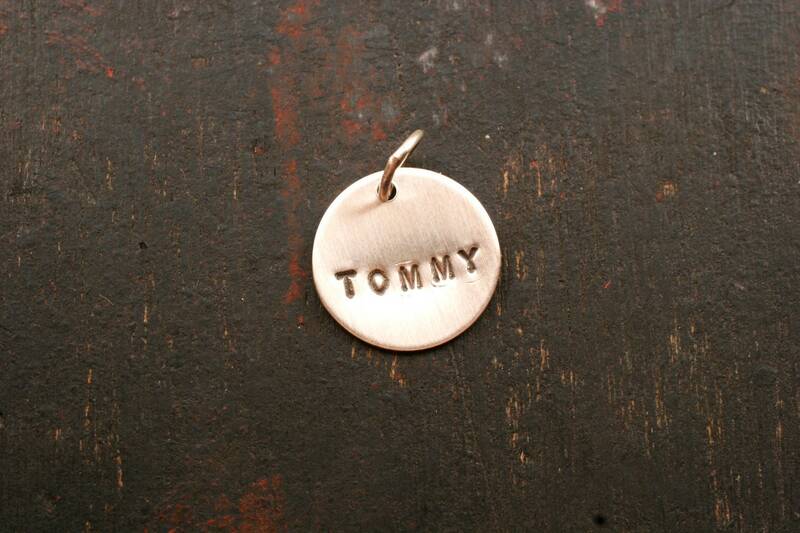 This charm is sterling silver and measures 9/16in. 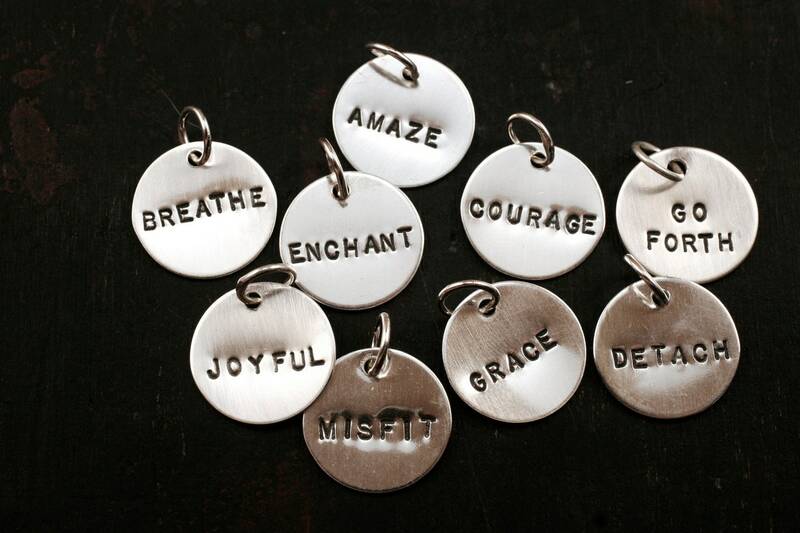 The initial charms measure 9mm. Unfortunately I cannot stamp on the back.